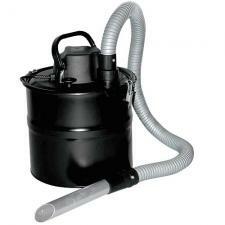 Finally, here is an economical HEPA filtered ash vacuum for cleaning up in and around your woodburning appliance. The built in "shake off" vibrating filter may be activated to clear filter build-up while keeping the dustproof lid in place. The spring loaded "shake off" activator vibrates the HEPA filter with the vacuum turned off cleaning off as much of the build up thereby restoring suction power. The Hearth Country Ash Vacuum weighs only 8 pounds.